There are curling irons and then there is the Sarah Potempa The Beachwaver Rotating Curling Iron, a breakthrough in the hairstyling tool industry that goes beyond being merely a trend or an innovation. 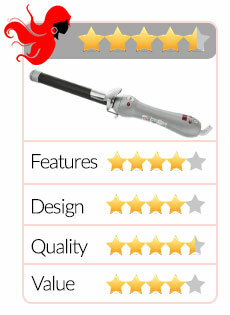 The Sarah Potempa Beachwaver curling iron is modern, sleek and very efficient. It has been professionally designed to rotate in two directions with just a touch of a button. Invented by erstwhile hairstylist to celebrities, Sarah Potempa, The Beachwaver has become such a hit amongst not only Hollywood celebrities but with mere mortals like you and me. If you’re on the lookout for an innovative hairstyling tool, The Beachwaver is one such product you might want to consider purchasing. Huge Savings on the Sarah Potempa Beachwaver at Amazon – Click Here to Save Big! Several features have gone into the manufacture of The Beachwaver that have made it noteworthy to be featured in media outlets such as Shape, Star Magazine, Teen Vogue, and U.S. Weekly as well as thrice on the Today Show as one of the favorite things of Kathie Lee Gifford and Hoda Kotb. In just 30 seconds, or half a minute, The Beachwaver is able to heat up to a temperature of between 310°F and 450°F, a fact that should be really helpful for individuals on the go with hectic schedules. There’s no need to worry about forgetting to turn it off because it has an automatic, 30-minute shut off mechanism as a safety precaution. The Beachwaver has a 6.5” ceramic tourmaline rod with gold powder infusion for even heat distribution so you can have consistent temperature, indicated on an LED digital screen, while using it. 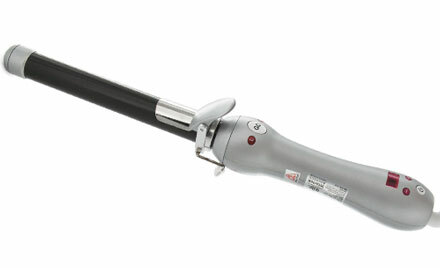 The patented design of The Beachwaver is a customized beveled clamp that eliminates any potential kinks but the pièce de résistance here is the curling rod designed by Sarah Potempa which rotates counterclockwise or clockwise gently when you press the button that says “go” on the right and left sides and stops as soon as you let go. 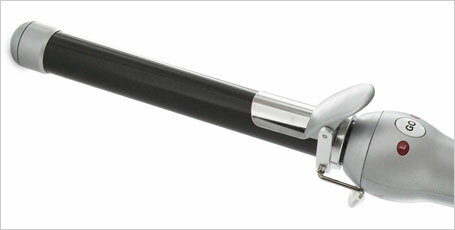 The Beachwaver was designed to be user-friendly, unlike other curling irons that seem to take forever to operate. The Beachwaver has a detangling comb with two sides equipped with two sets of teeth, one which acts as the comb holder that provides even tension when preparing the hair for curling, and another for smoothing out uneven hair and tangles. And because the comb is made from high grade material that is heat resistant, you can use it simultaneously with other heated hairstyling tools. If you have hair that’s shoulder length or even longer and want them as gorgeous looking curls, go for The Beachwaver because it’s the perfect curling tool for women who are on the go and/or have difficulty using curling irons. Developed by a woman hairstylist for women, The Beachwaver by Sarah Potempa enables you to take control of that side of your hair which you curl with right and left buttons, not to mention rotating the curling rod for you. Based on your particular hair type, the digitalized temperature dial allows you to select the degree of heat you want or need to create the type of curls you want. Yes, The Beachwaver does get very hot as several customer reviews will point out BUT you also have to remember that this heat is also what creates those stunning curls and its effect is what helps them to hold longer. Other curling irons will keep your hair heated longer for curls that don’t really hold in as much time as you expected. This additional heat is applied quickly by The Beachwaver on your hair’s shaft so the exposure to the high temperature is shorter and decreases the risk of damage on hair. With The Beachwaver, all it takes is five seconds for your hair to get curled. Where it says “always face the clamp inwards” when you curl your hair, it means face the clamp inwards “toward” the face when curling your hair’s right side and outwards “away” from the face when curling your hair’s left side. But if for whatever reason you forget that it’s done the way that was just mentioned, here’s the only thing you should remember: regardless of which button – left or right – you use, the clamp should always face your left side. Some reviews also mentioned how “small” the clamp is. Ladies, this is precisely what creates those magnificent yet natural-looking “beachy” waves. If it’s ringlets you want, which, frankly, look unnatural on a 25 or 40 year old, then get a regular curling iron that does that. The kind of curls you will get from Sarah Potempa’s The Beachwaver are soft, loose curls which may or may not be perceived as having come from the end of a curling iron’s barrel (keep ‘em guessing!) and which you can “shake” out to get those oh so beautiful waves. You do have to “practice” getting the hang of using the Sarah Potempa The Beachwaver Rotating Curling Iron and, as in all things, practice does make perfect, including curls. If you: A) are willing to practice how to operate this curling iron for a few minutes a day until you find your groove, B) want curls or waves reminiscent of sun and sand in Long Beach, California instead of Southfork Ranch in Dallas, Texas, C) get rattled when using hair curling tools that are less than user-friendly or D) would rather spend your money on a curling tool as a long term investment over astronomical fees for salon-created curls, then get the Sarah Potempa Beachwaver Rotating Curling Iron. It will solve all your hair styling problems. 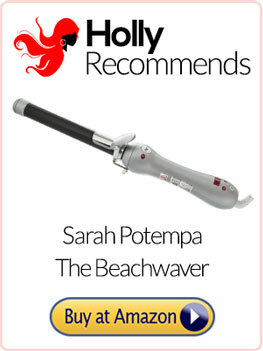 Click Here for the Sarah Potempa Beachwaver Only at Amazon!